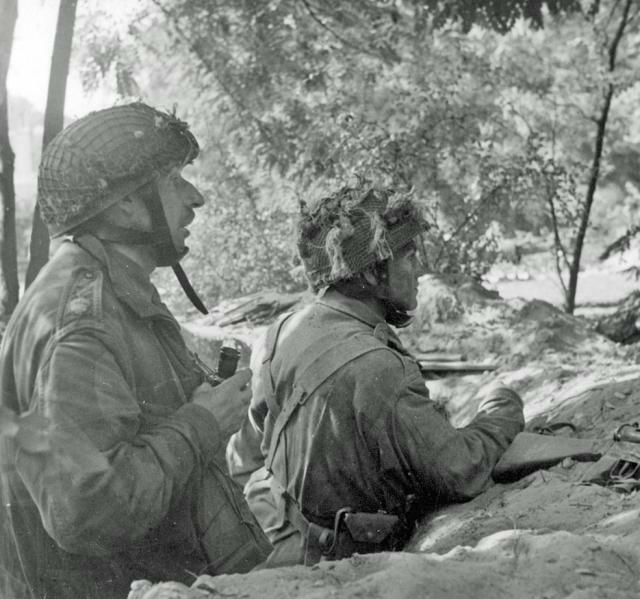 Two officers of the 1st Border, Major William "Jock" Neill (left), commander of "C" Company, and Lieutenant John McCartney, commander of No.28 Medium Machine Gun Platoon, in a foxhole on the Van Lennepweg on the 20th September. Both men survived the Battle and were evacuated across the Rhine when the Division withdrew. Larger image. Copyright: IWM BU1102.